Ubuntu 12.10: your next OS? 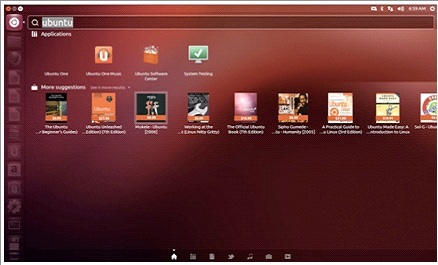 Ubuntu 12.10 is positioning itself as a real, bona fide mainstream OS – challenging the likes of Windows 8 and OS X. How does it measure up? Here's the review. The customer-facing front page of Ubuntu suggests that change is in the air. Boldly displaying a Lenovo laptop happily running Ubuntu 12.10 – browsing the internet in Mozilla Firefox, no less – Ubuntu seems to be pushing the idea that it's ready for the big time. 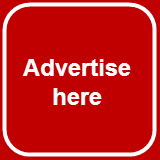 Beneath the proud banner lie adverts for businesses to adopt OpenStack, and a tiny note that 20 million – yes, 20 million – people use Ubuntu in the place of commercial alternatives. Ubuntu has never been so bold to suggest it could – and should – displace more mainstream operating systems. Does it have any right to that? Ubuntu has never been a ragtag affair. For ages it's been the sensible starting point for anyone jumping off the tech platform in to the beautiful Open-Source sea of Linux. In Ubuntu 12.10, this is only further refined. User interface components have a sense of unity thanks to a software development platform known as, well, Unity. It means that desktop and notebook users of Ubuntu get the same kind of experience, which is a step in the direction taken by other commercial operating systems of recent. I've been using Ubuntu 12.10 on my laptop for a few days now, and it feels nicely purpose-built for the mobile environment. Things are snappy – it hasn't broken yet, and the usual boxes are ticked (which is more than can be said for Windows Vista). Menus seem to make more sense than they did in earlier versions of Ubuntu, and the overall flow of presentation of information is more logical. So what about the feel? If I were to criticise, which as a critic I guess I must, I would say that the platform feels a little ... immature at present. For example, there's a lovely search functionality tucked away in to the Dash Home Lens, which rifles through your indexed files and hunts down your term on a neatly categorised modal window. But, for some reason, Ubuntu's design team have seen fit to include mandatory search results from Amazon and the Ubuntu music store along with it – and that's unpleasantly invasive. Sure, I pay for my commercial OSes, and sure, I expect ads on things that are free, but having paid stuff crop up among my personal data is just a little too close for comfort. It's ... crude. It seems like a bad decision on the way to a good one – but we're just not there, yet. 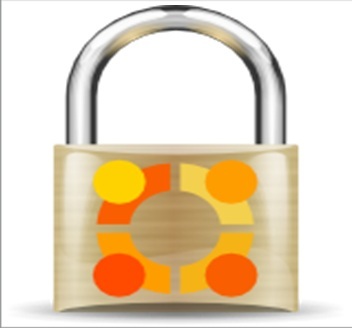 There's no denying that Ubuntu – Linux, in fact – is an extraordinarily well-written and secure platform. And, because so few virus writers care about the tiny percentage of users that actually run a Linux distro on their machines, you get the comforting freedom from viruses you (used to) get on a Mac. Security and Privacy are top concerns, and the Software Updater is (thankfully) remarkably compact and simple. This makes a significant change from the Linux of old, in which keeping packages up-to-date required an IT staff in itself. Of course, there's a good range of apps. There's WINE, too, if you want to have a play with Windows programs. There are alterations of WINE for specific tasks, too – I've used PlayOnLinux to have a bash through Half Life 2 without too many problems. And, of course, there's the promise that Valve are going to be focusing a lot of their efforts on Linux, which means (possibly) porting their incredibly popular Steam application distribution platform over to Linux, too. Is this a totally new world for Linux? Yes. Is it going to take the world by storm? No. Here's why. With Ubuntu 12.10, Linux has grown up and learned to do its own marketing. It's snappy, it's tasteful, and it's aggressively attacking ground in which competitors' customers lie. That's good. But it won't succeed, not yet. Because in order for people to believe anything free can be good – anything at all – it has to be really good. As in, a better package than something you'd pay for. And Ubuntu 12.10 is good – but it's not that. Not yet. 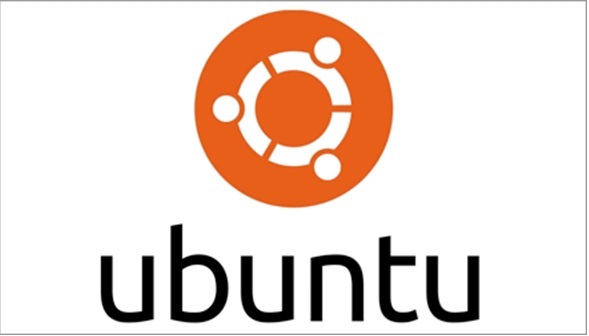 Do you want to try Ubuntu 12.10 yourself? Then, why not order a disk with it from the site buylinuxcds.co.uk? I was hoping for more from this review...seems pretty skimpy to me. I already know I don't want Ubuntu 12.10--I don't like Unity. I am glad to know about the ads; that would clinch it for me even if I DID like Unity. Thanks for that heads up. Sr.Dorothy, this is a guest post, and I rarely edit it. I give authors the way to express themselves. As far as I know, you can switch off the commercial lenses on Unity Dash. My biggest problem with 12.10 is the apparent performance regression that is happening. True that more features = more bloat = system lag. But the beauty of Linux for me was the lack of frills, but lots of function. Ubuntu seems to heading towards being eye catching rather performance enhancing. It is more than just the Unity lens. Really. If you like Unity, how much better is 12.10 than 12.04? I have been on the "upgrade treadmill" since I started using Ubuntu 6 years ago. 12.10 is the first release I am skipping. But it wont be the last. Unless something utterly fantastic happens, I am sticking with 12.04. I get 5 years of updates, I love all of the software, most anything with new features that is worthwhile will be backported. This is big to me. As someone who typically has 7 to 10 pc's around at any one time running Ubuntu, Kubuntu, Xubuntu, and Lubuntu this is a big deal. I always upgrade all of my systems. This is the first time I have been able to say "no" to upgrades and just stay put. And why not, that is what a maintained for 5 years stable release is all about. Funny enough, I decided to stick to 12.04 as well, but I am running Xubuntu, not Ubuntu. My main reason was LTE release, which has proved to be very nice and stable for me. I really want to like Ubuntu. I installed version 12.04 on my wifes machine and am fairly happy with it. I tried the latest release (Ubuntu 12.10) on my system. It was really buggy, and I didn't appreciate the fact that when I searched for an application I saw a lot of unrelated junk in the rearch results. To me the Unity interface is OK, but some of the recent changes they have made are going to turn people away. Version 12.10 is not release quality. I had problems with compiz crashing and with gimp. I switched to a openSUSE 12.3 pre release. Even though this version of openSUSE hasn't been released yet it is more stable than Ubuntu 12.10. "And, of course, there's the promise that Valve are going to be focusing a lot of their efforts on Linux, which means (possibly) porting their incredibly popular Steam application distribution platform over to Linux, too." This article published on 8th Nov, 2 days after Valve announce the release of Steam for Linux, after many confirmed rumours. Where is the 'possibly'? Thanks for your correction! I made necessary changes. Articles, especially guest posts, are not the one-day process. It was written much earlier. I like Ubuntu well enough, but Unity still bugs me a bit and it is a bit sluggish on my machine. The Ubuntu Gnome Shell Remix is a lot snappier, and I find Gnome Shell to be a more elegant solution than Unity. Still, I'm glad to see any linux distribution do well. I tried it on my acer 5002 but the display is just flickering with none desktop in sight. Same on xubuntu. Tried loads of options none worked.I personally don't find Ubuntu ready to replace commercial OSes. When you installed Windows in a computer sometimes you noticed that its video, audio, wifi devices... did not work out of the box. Then you went to your computer manufacturer's web page and downloaded drivers and patches to fix what Windows could not figure out for itself. Unfortunately, you already noticed there is no mention to Linux at that web page. You should not judge or blame any Linux distro for not fully supporting your particular piece of hardware. Instead you should complain, in your case, to Acer (that's what you'd do if they failed to provide a Windows driver, or patch). And we all should also thank the community for their altruistic support support so we can, most of the times, have a good OS in a computer, and that without any support from the original manufacturer. Well said Ignacio. It is amazing to me that something that is free to all and works as well as Ubuntu (and many other Linux distros) can be bashed to death like a baby seal and no one blinks an eye. I personally like Unity and have no other OS's installed on any of my computers (except VM's). 12.04 was a great release and I will support Ubuntu in whatever ways I can (dev, $$, docs, etc.) because I believe in the work that they do and the products that they have produced. I don't doubt it's an improvement over 12.04, but it's not LTS, which means support will be terminated a year and a half from not. Nobody is competing with Windows or Apple on the basis of Ubuntu's silly release/support cycle. My netbook experience with Ubuntu 10.04/10.10 was similar: 10.10 was the finished product, but 10.04 was the LTS - it is still getting support while my 10.10 install is frozen for OS and third party package support. Ubuntu should get off it's mechanical release/support schedule, and dedicate resources to finishing LTS versions and identify unfinished projects (like all of Ubuntu 11 for example) as "beta" until they are ready for prime time. I stuck with 64-bit 11.04 as long as I could, because I wanted the old Gnome as long as possible. I looked at other distro's but not keen on Gnome 3. XFCE is OK, but some things don't work, like Remmina. Then I had to do a 32-bit 12.04 install to get MythTV working, and found that by installing gnome-fallback you can run something quite close to the old gnome, gives me all I need, and tweaking the settings puts the window controls back where I expect them. So, I upgraded the 64-bit to 12:04. I looked at 12:10, and only thing going for it seems to be a more recent kernel. I needed a newer kernel on a new PC I built, but, TBH, I figured I'd go with Debian Wheezy and install latest kernel, as I needed to build the ethernet drivers whether I used Ubuntu or Debian. I see what Canonical is trying to achieve, and I hope they pull it off. I have set up an elderly person using Unity, With less hassle than XP, but they still need me around now and then to sort out any glitches. I have my doubts as to whether Canonical will be able to simplify and lock down Linux in the way Google have with Android and ChromeOS. 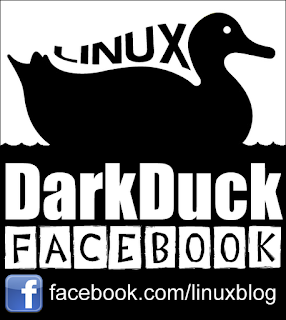 Linux will always be a techie OS, and it stands up on that, and needs no more. OSX could be that, but is accessible to most people. Why try and make linux something it never was meant to be? Why does it have to 'challenge' Windows or OSX? That is not the point of it, and if it does become mainstream, it risks ending up being as mediocre as Windows ar worst, and as good as OSX at best. When actually, for what you can do with it, it does things better than either. If you want it to do what you would do with Windows or OSX - use Windows or OSX instead.